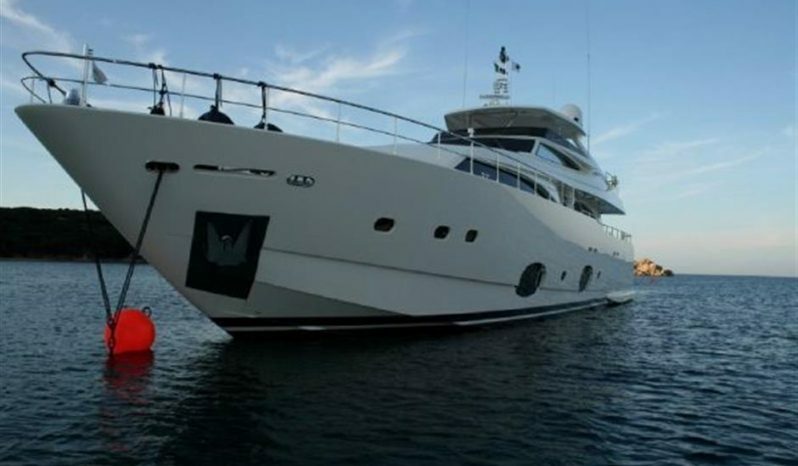 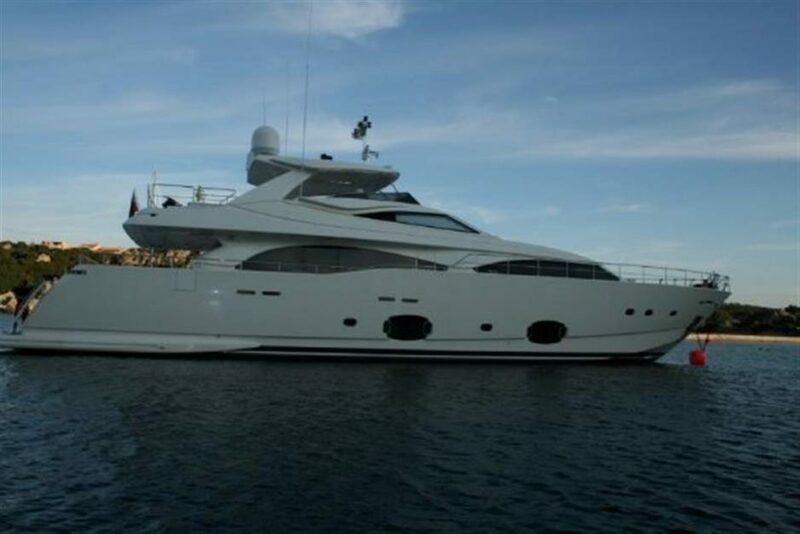 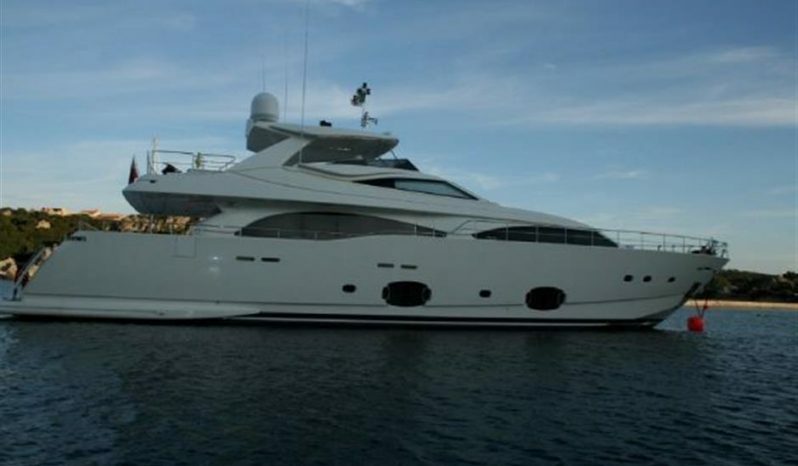 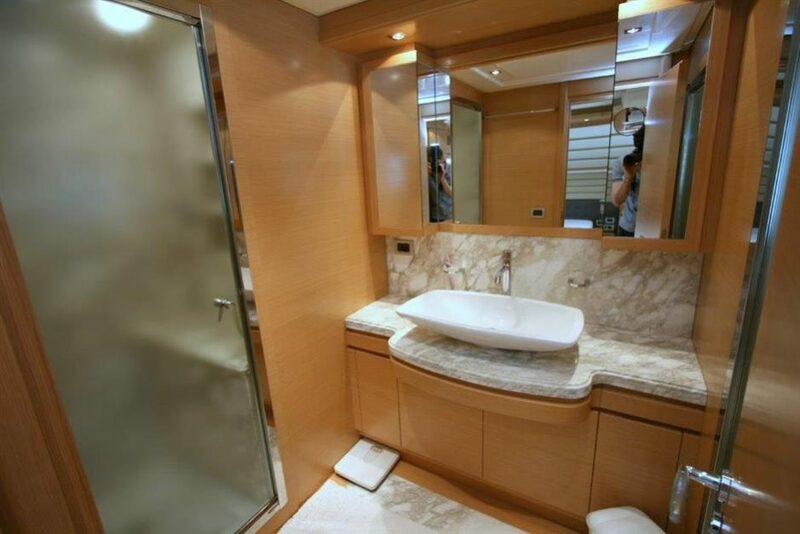 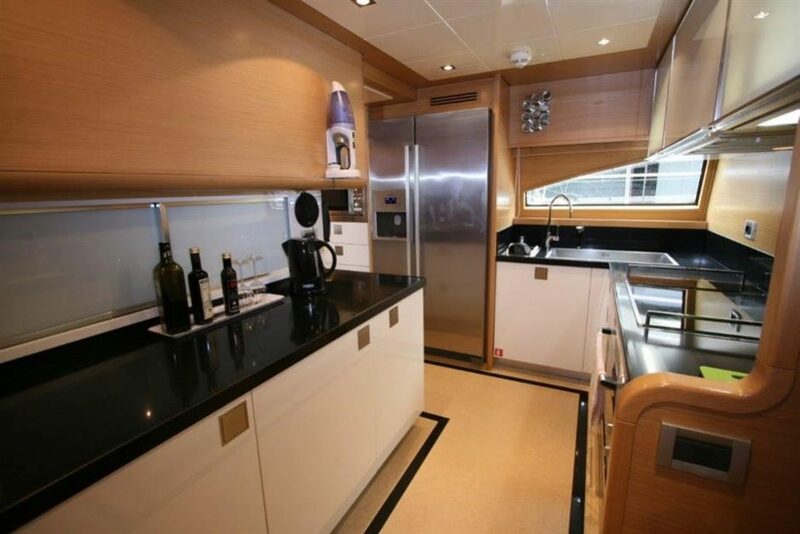 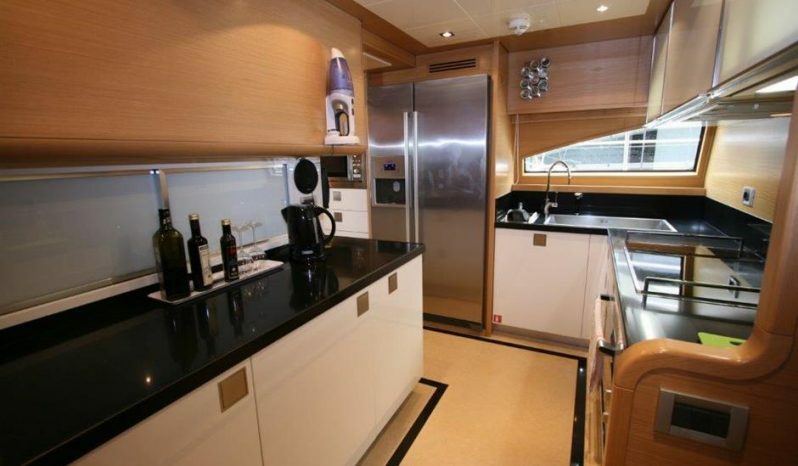 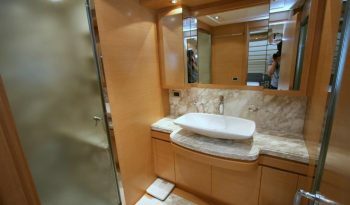 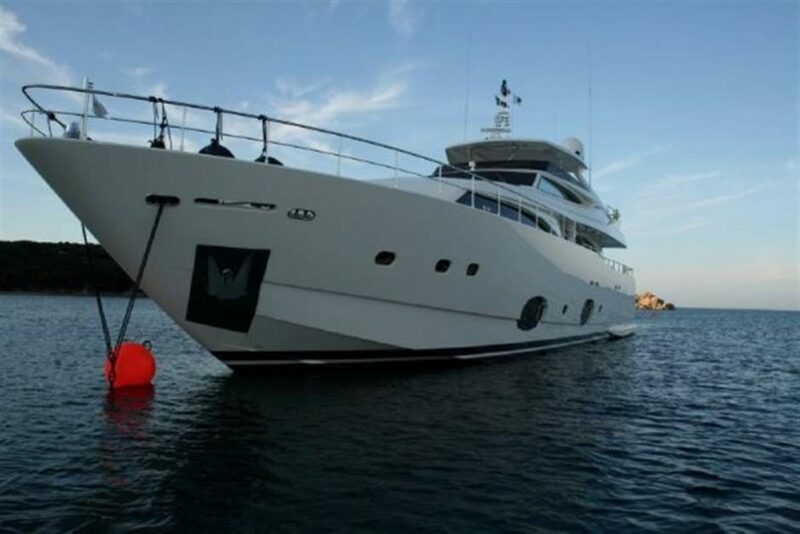 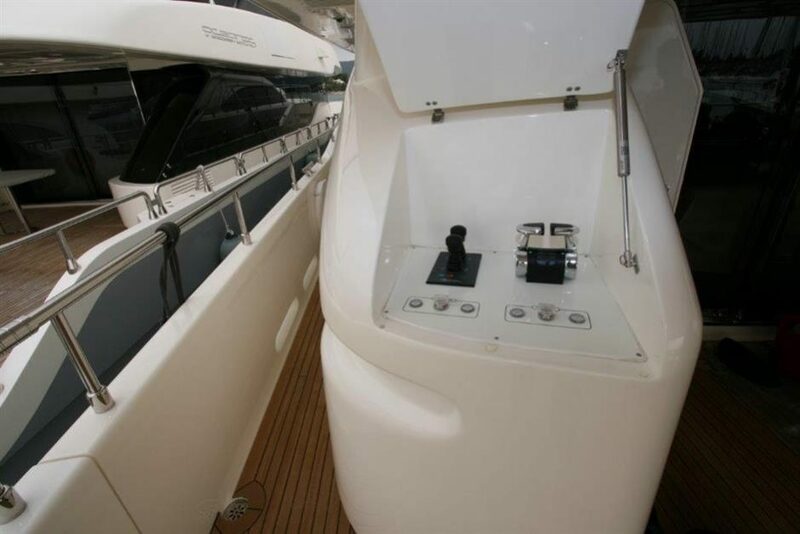 — This Ferretti CL 97 is in as new meticulously maintained condition. 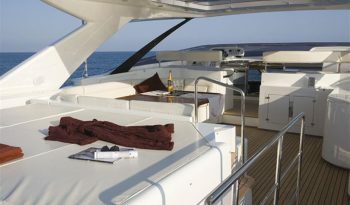 LOW HOURS ! 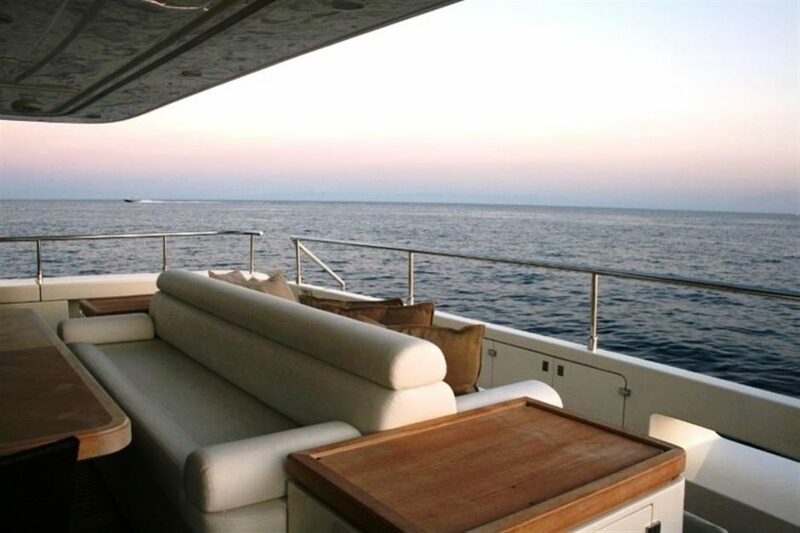 — VAT paid. Malta Flag. 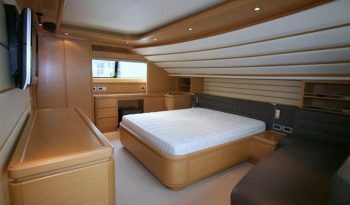 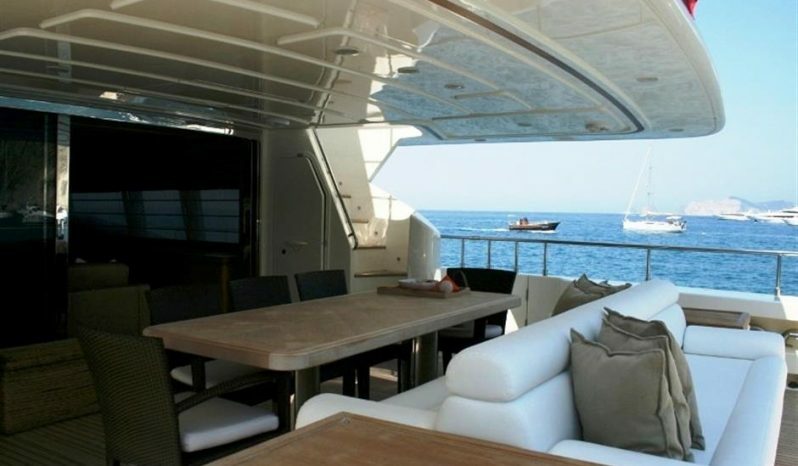 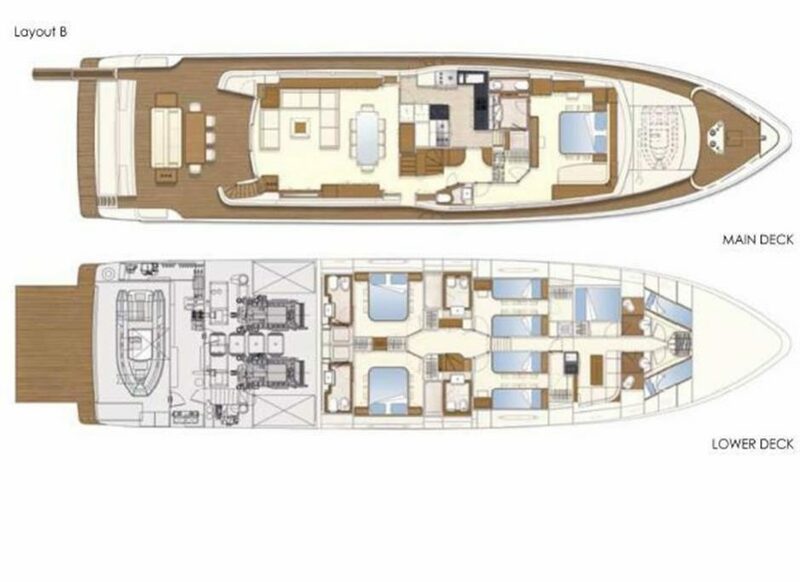 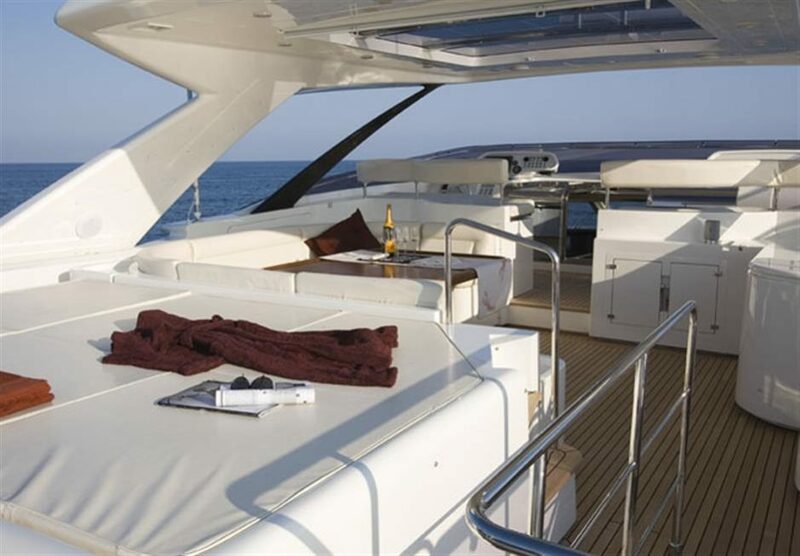 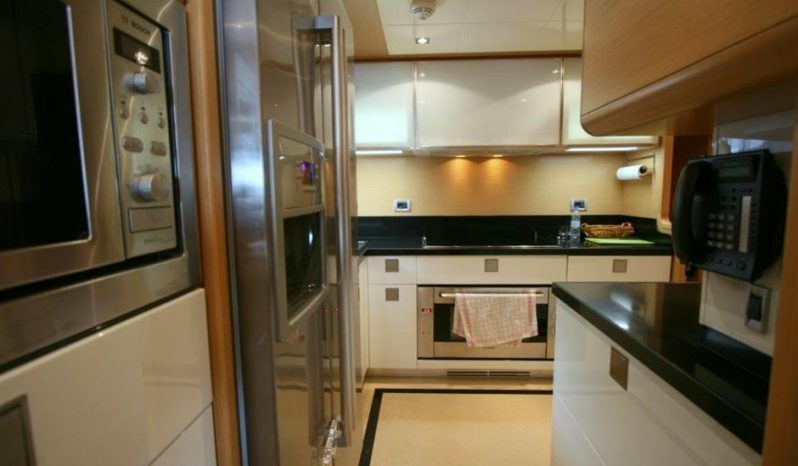 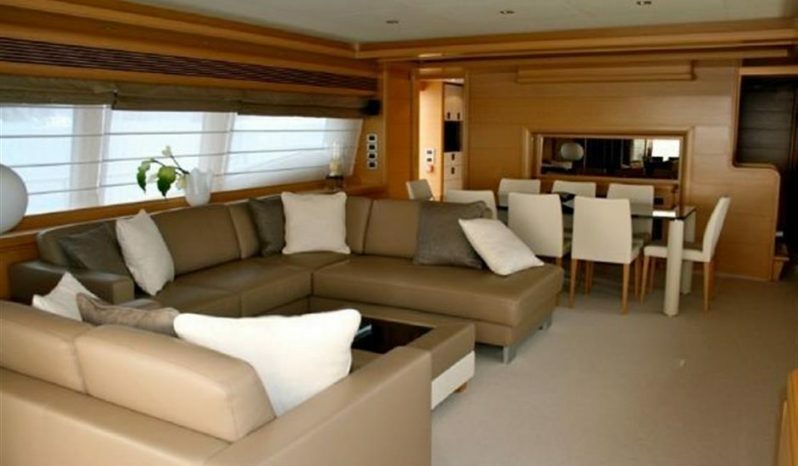 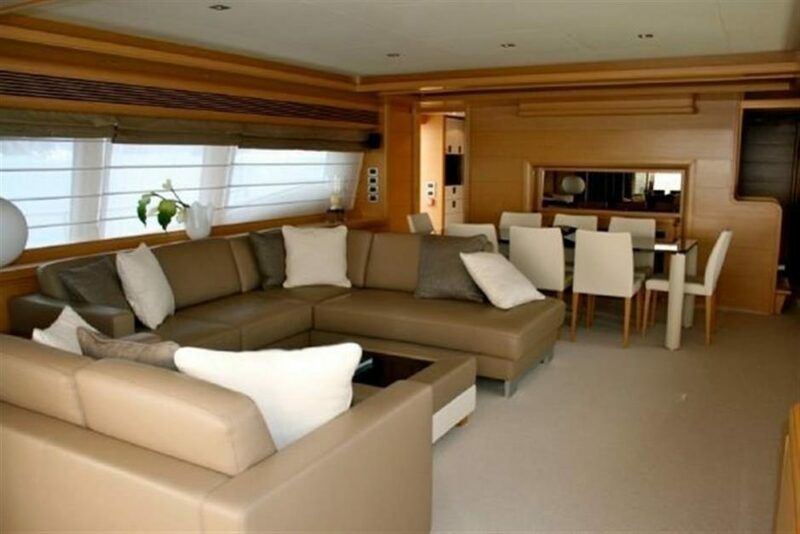 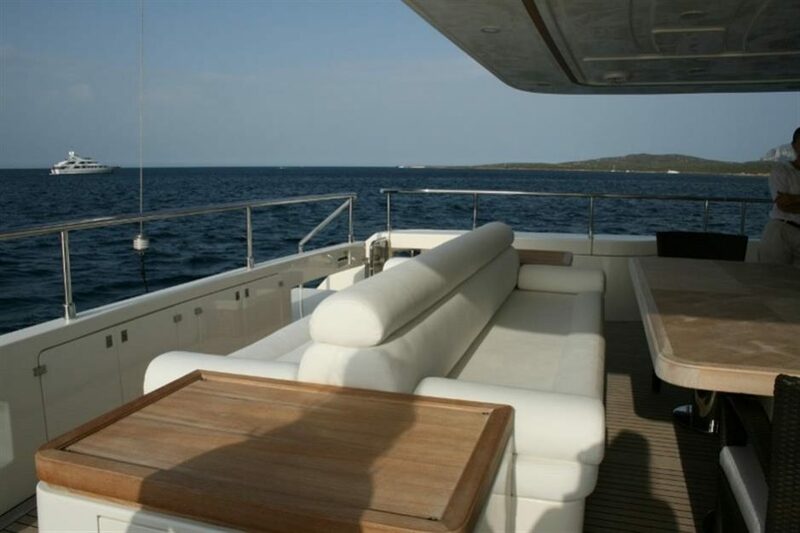 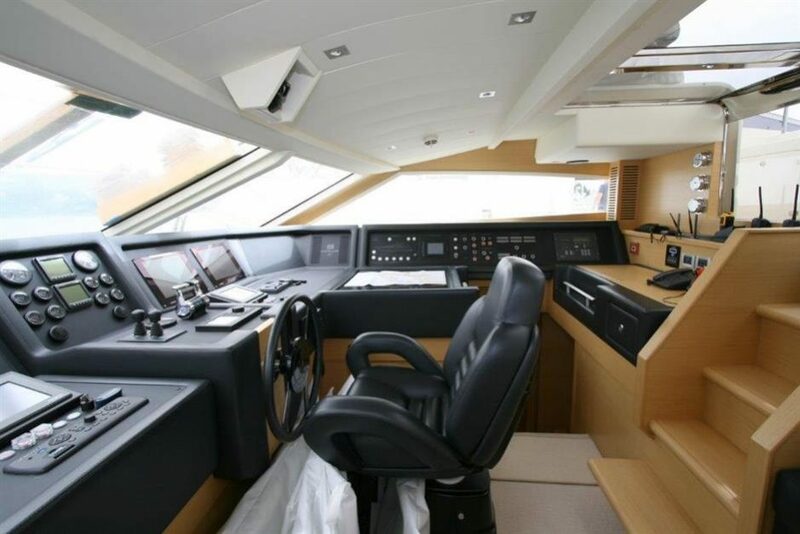 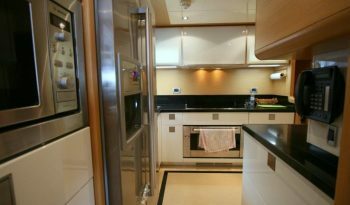 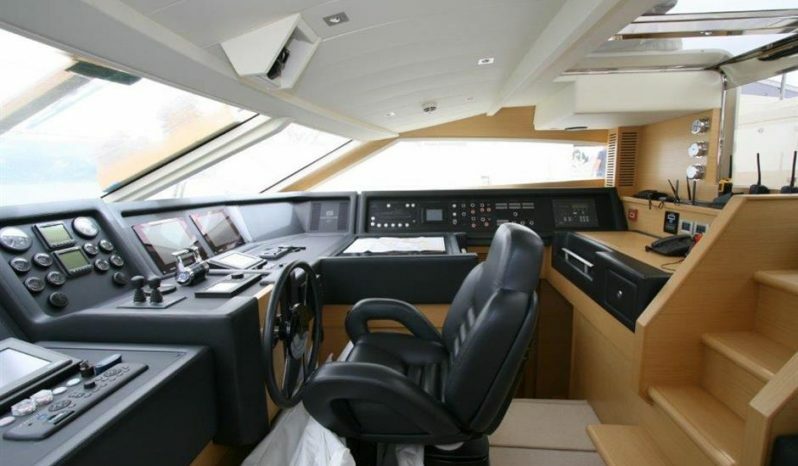 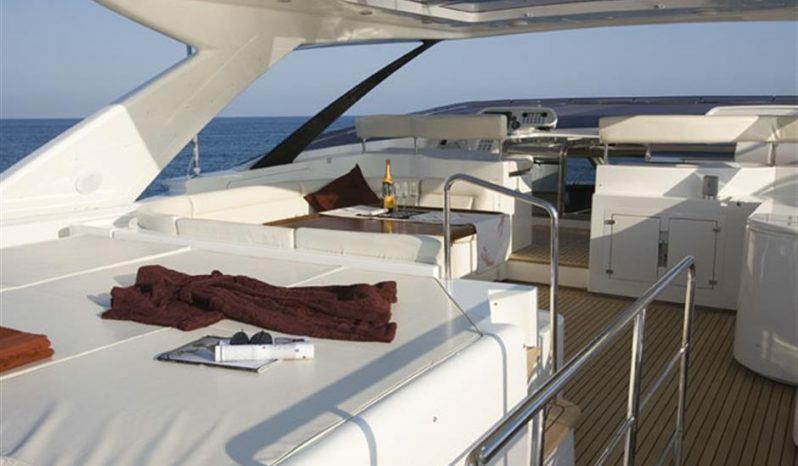 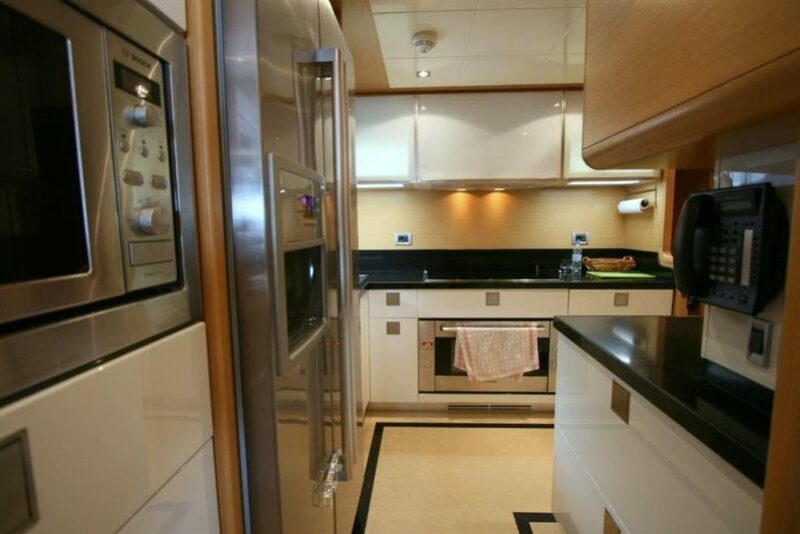 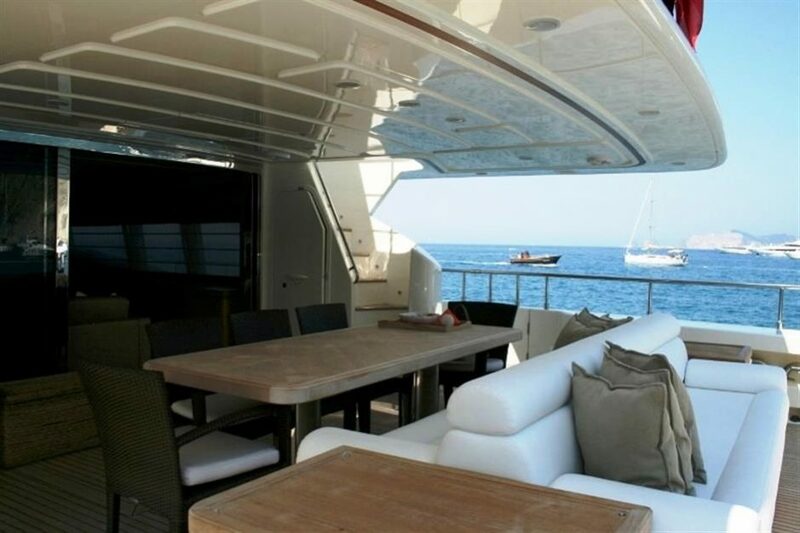 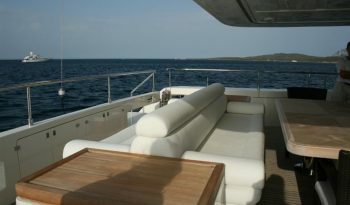 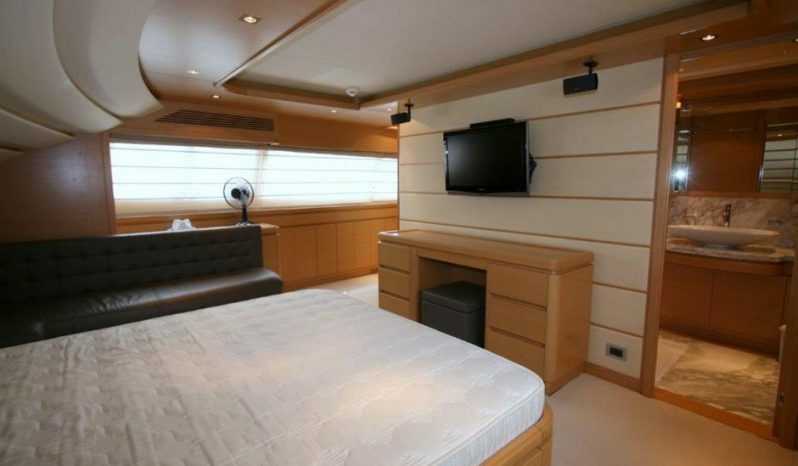 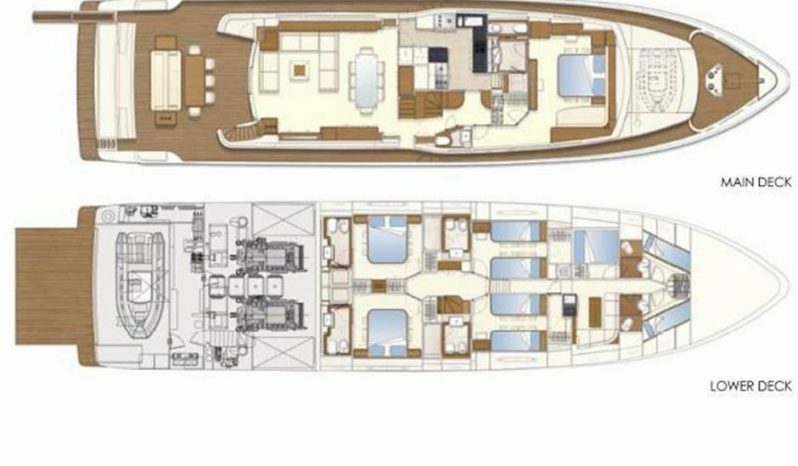 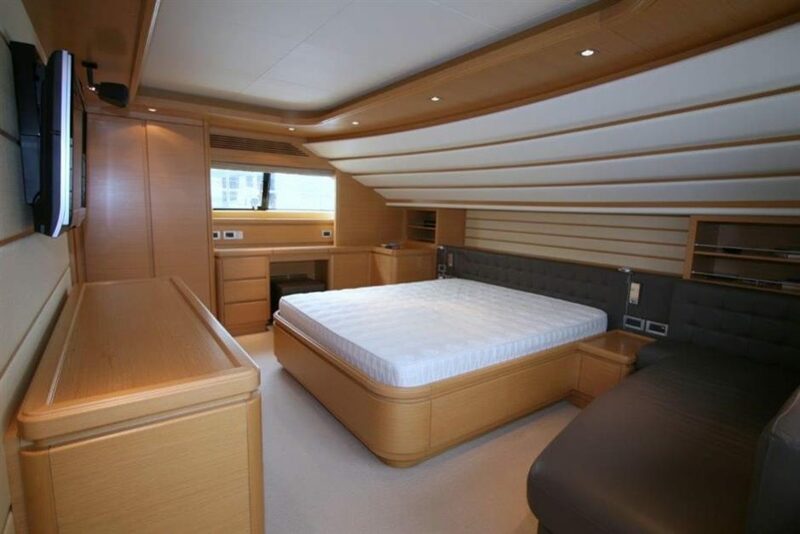 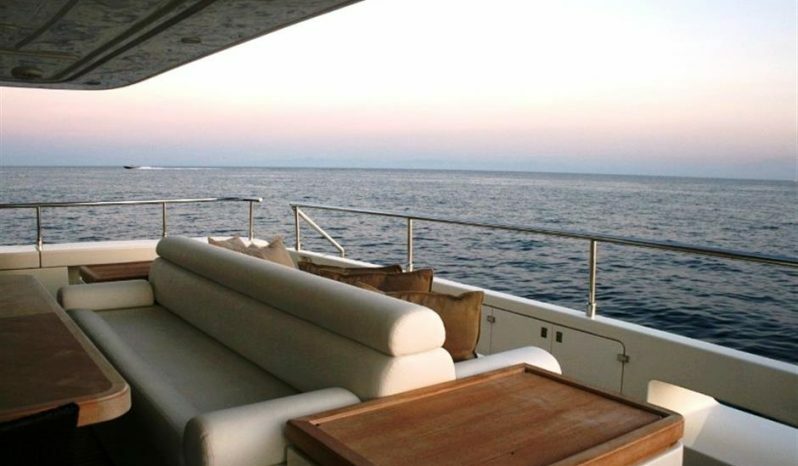 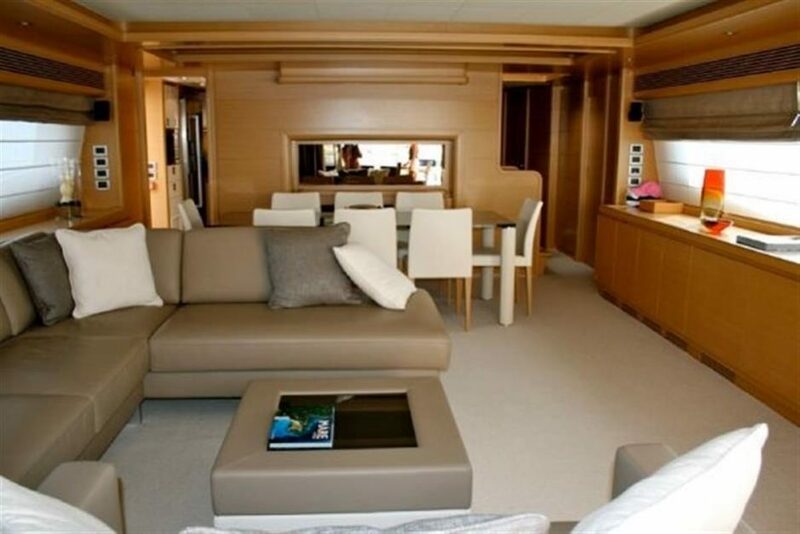 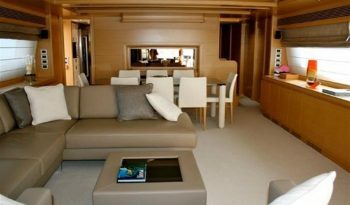 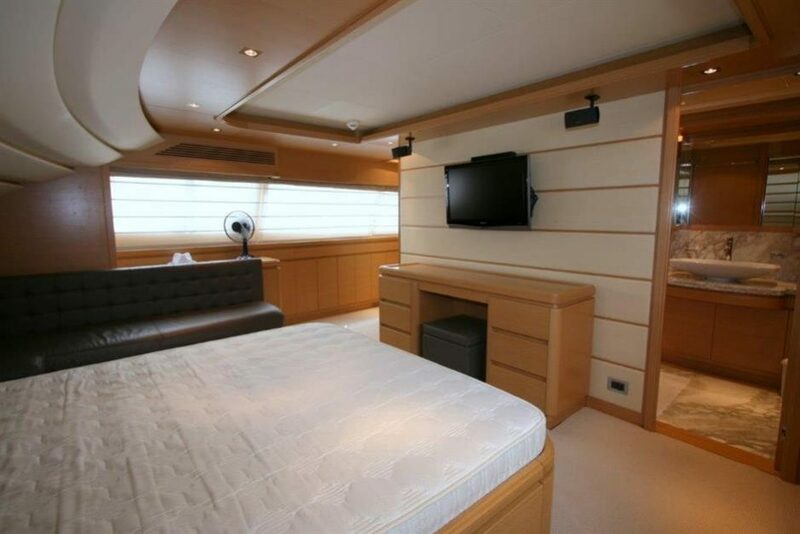 — 5 CABIN VERSION with master cabin on the main deck forward. 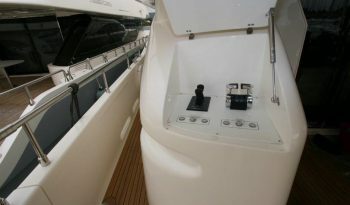 — 4 x ARG zero speed stabilizers. — Hard Top over fly bridge.